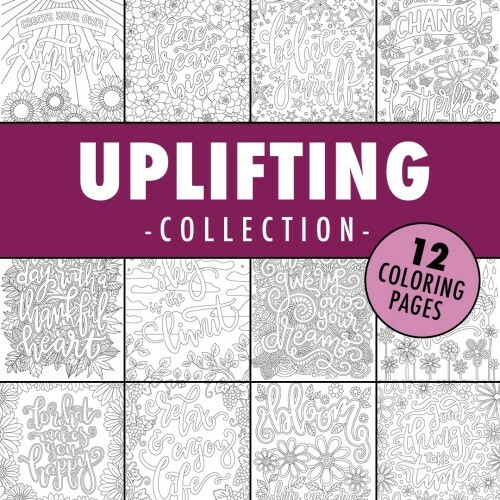 This bundle includes 4 collections of coloring pages with 12 coloring pages in each. You can see each of the individual packs at the links below, or purchase them together in this bundle at a lower price. When you're looking for something encouraging to color, these coloring pages are perfect. With a mix of uplifting and encouraging quotes, color these pages to help get through hard days, remind you about the positive things and encourage you dream bigger. Quotes include "never give up on your dreams", "start each day with a thankful heart", "do what makes you happy" and more. 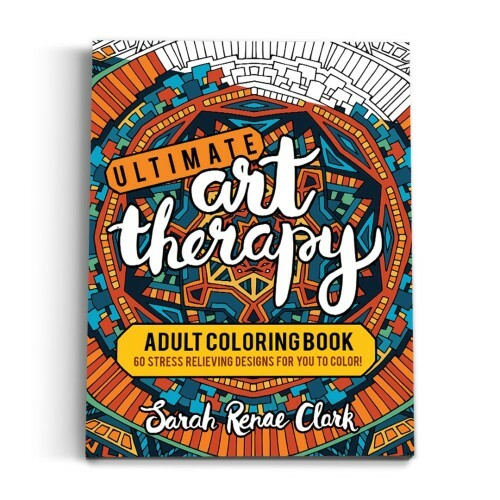 The Uplifting Collection includes 12 coloring pages, featured in Sarah's Coloring Calm: Relaxing Coloring Book. 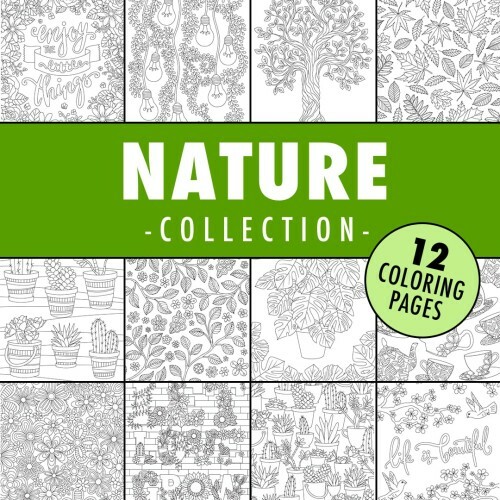 Escape your busy day, grab your pencils and surround yourself with nature this collection of beautiful adult coloring pages. From flowers and leaves to succulents and indoor plants - these coloring pages will help you relax and enjoy nature without getting your hands dirty. The Nature Collection includes 12 coloring pages, featured in Sarah's Coloring Calm: Relaxing Coloring Book. Go under the sea and explore the beautiful creatures in this collection of underwater coloring pages. Bring these sea creatures to life as you color the whimsical seahorses, intricate crabs or dancing dolphins with every color you can think of. 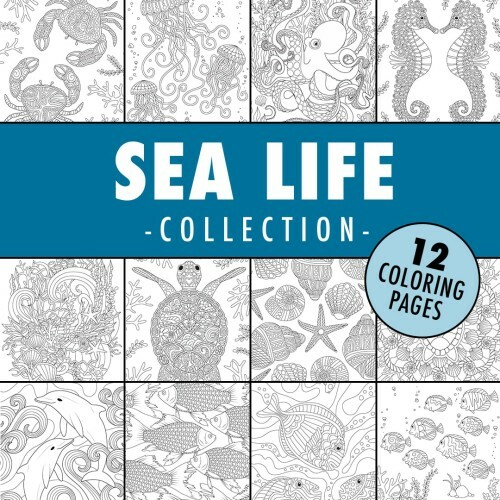 The Sea Life Collection includes 12 coloring pages, featured in Sarah's Coloring Calm: Coastal Coloring Book. 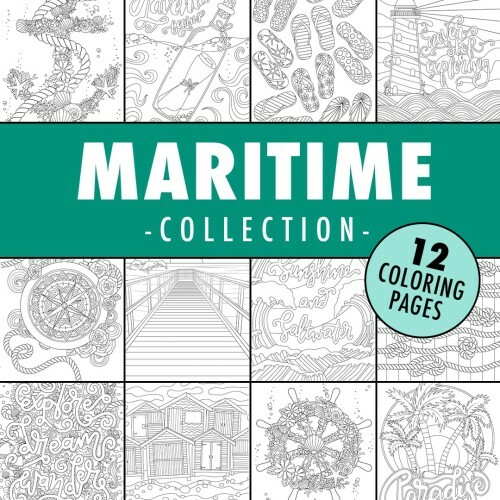 Take your pencils on a relaxing ocean adventure with these 12 maritime coloring pages! Whether you want to explore and navigate the ocean or relax on the coast, let your pencils take you on a journey with these beautiful ocean adult coloring pages. 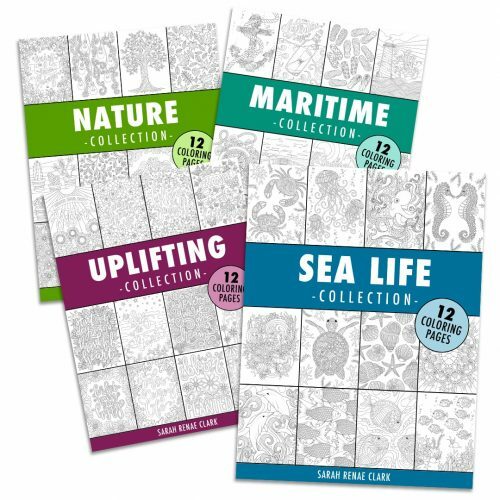 The Maritime Collection includes 12 coloring pages, featured in Sarah's Coloring Calm: Coastal Coloring Book. They say you have too many coloring books and you’re addicted to coloring. They’re half right. Too many coloring books? That’s a myth. But the coloring addiction? That’s real. The treatment? Another coloring book, stat! Confessions of a Coloring Addict brings you 30 fun coloring pages with funny, inspirational and silly quotes that any coloring enthusiast can relate to. 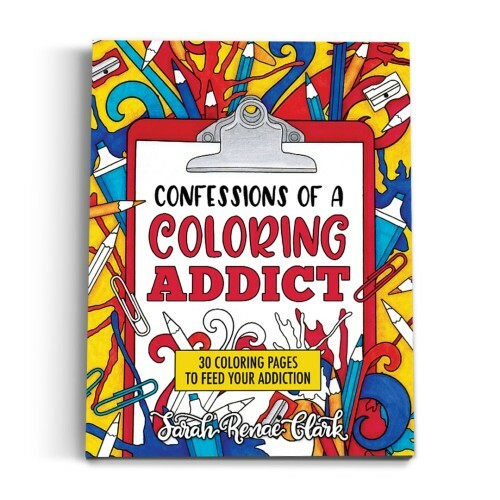 Whether you’re procrastinating cleaning the house or enjoying some coloring time with your furbaby, Confessions of a Coloring Addict is always ready to be brought to life by your colors! A fun coloring book for all ages and skill levels. It’s the book every colorholic needs to own. Also available on Amazon. 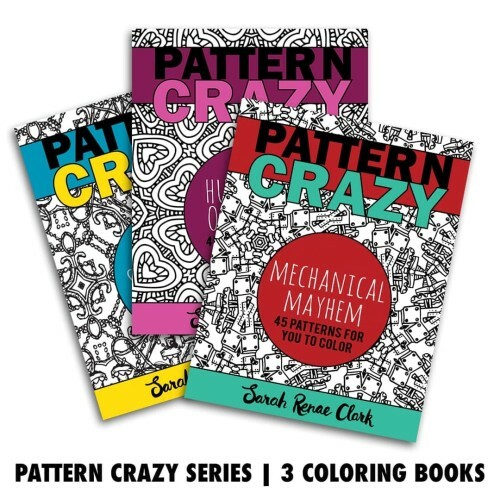 The Pattern Crazy series includes 3 printable coloring books full of intricate patterns to color. Each book is based on a variety of patterns created from hand-drawn art that has been digitally manipulated. They each include a variety of designs, from thick lines and big spaces to color, to other pages with insanely intricate details. These books are usually $6.95 each, so this bundle is a great way to buy the set and save. 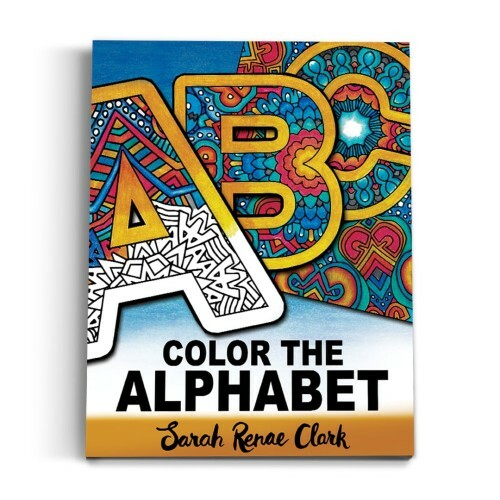 Color the Alphabet is an A-Z Coloring Book for kids and grown-ups that includes all 26 letters of the alphabet in detailed coloring pages. It contains 40 pages of unique artwork: 26 full size coloring pages, each containing a single letter from A-Z 26 half size designs over 13 coloring pages. Each page includes 2 designs with a letter each from A-Z. All but a few designs are different to the full size designs. 1 bonus coloring page with a mix of letters hidden in the design. 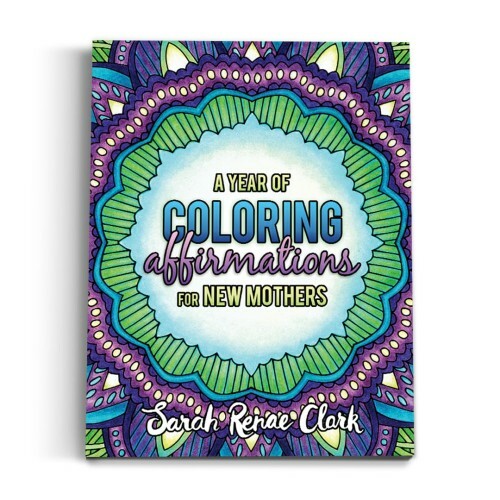 I've chosen 30 of my favorite affirmation coloring pages from A Year of Coloring Affirmations for New Mothers for this special revised edition for every mom! 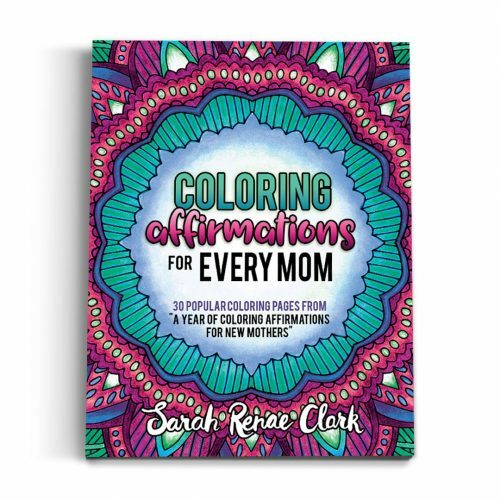 Coloring Affirmations for Every Mom includes 30 coloring pages of positive affirmations to give every mom encouragement and confidence through the therapeutic art of coloring. This affirmations coloring book is a great gift for your mother, sister or wife. Add it to your Baby Registry or print off your favorite pages and frame them as a Mother's Day gift. An additional UK version is included in the download, with the alternate spelling "mum" instead of "mom" on the cover page. Pattern Crazy: Hundreds of Hearts is a 45 page adult coloring book full of heart patterns. The variety in the level of detail between the coloring pages make this is a great coloring book for all ages and skill levels. The lines are nice and thick so you can color extreme details without worrying about making mistakes. Pattern Crazy is a series of coloring books based on a variety of patterns created from hand-drawn art that has been digitally manipulated. 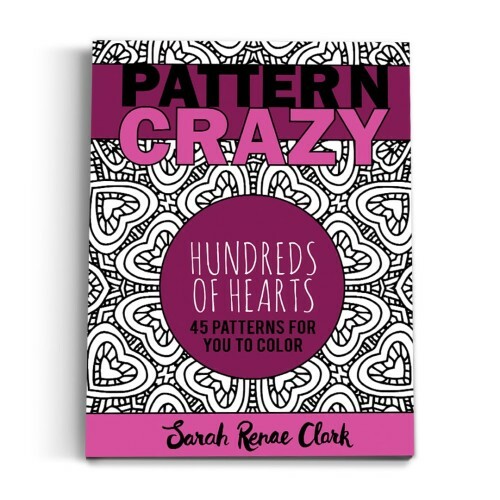 Pattern Crazy: Hundreds of Hearts is the third adult coloring book in this series. It has 45 patterns to choose from, you can print your favorites straight away to color in and keep this collection of coloring pages on your computer to print at any time. This printable book is included in my huge Valentine's Day Printable Activity Pack - it includes Valentine's Day cards, bookmarks, coloring pages, DIY gift bags and gift tags that you can print and color. Check it out HERE. You can also order the published version on Amazon. 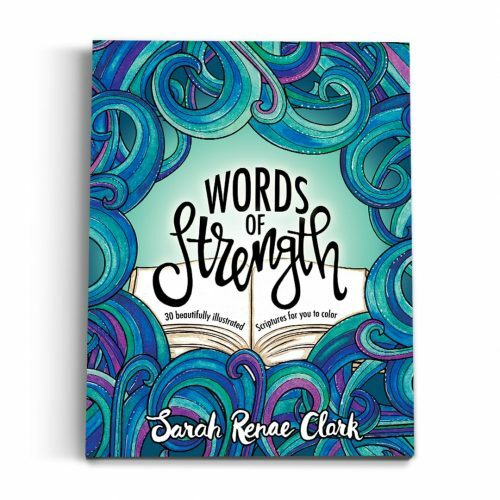 Words of Strength is an adult coloring book and devotional journal with 30 beautifully illustrated Bible Verses of hope, strength and encouragement for you to color. Each section includes a brief devotional, prayer and points to ponder, with space to write or draw your thoughts so you can explore each topic and use them for your personal devotions or in a Bible study group with friends. Then you’ll find six coloring pages per section, each with a beautifully illustrated verse from the Bible. I hope you enjoy this creative time with God. Christmas is a wonderful time to spend with family and friends. Coloring Christmas brings you 30 coloring pages to color with the whole family. Each of the designs have nice bold lines, with a mix of designs ranging from Christmas decorations suitable for beginners to full page intricate patterns to appeal to the more advanced colorists. It’s the perfect Christmas coloring activity for all ages and skill levels. 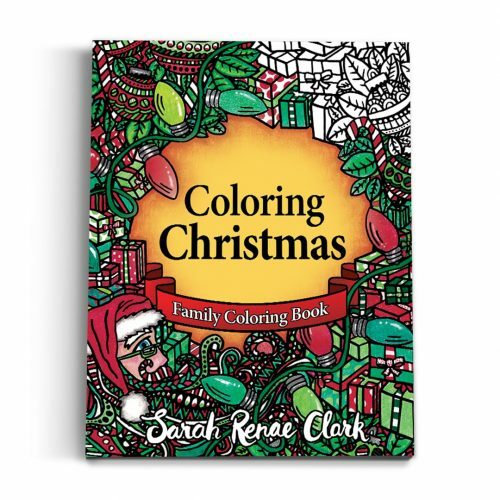 From kids to adults, you’ll love Coloring Christmas! Looking for more holiday family fun? This Digital Download is included in my massive Coloring Christmas Printable Activity Pack. Check it out HERE. 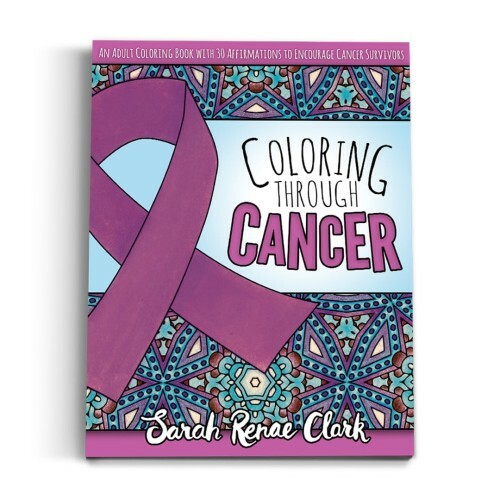 Anyone who has been through cancer, is going through cancer or who knows someone who has been affected by cancer will love this adult coloring book! If you would prefer a published version of the book, you can also find it on Amazon here. Combine the therapeutic art of coloring with the power of positive thinking! “A Year of Coloring Affirmations for New Mothers” is a printable adult coloring book that includes 52 coloring pages of positive affirmations to give new mothers the encouragement, confidence, inner strength and coping abilities they need to get through the unexpected ups and downs of the early years of motherhood. Motherhood is something that nobody can really prepare for. You can read every book, follow every routine, do everything right, have the “perfect” baby, and still not cope. Sometimes it’s hormones, sometimes it’s post natal depression, and sometimes it’s just a bad day. In those moments, it’s hard to ask for help, but sometimes all it takes is an encouraging word or a boost of confidence to get through. One positive thought can change your entire day. This affirmations coloring book is a great gift for your mother, sister or wife. Add it to you Baby Registry or print off your favorite pages and frame them as a Baby Shower gift for a friend. It is a must have for any new or expecting mother. You can also buy a physical copy of this book here. Pattern Crazy is my latest series of coloring books based on a variety of patterns created from my hand-drawn art that has been digitally manipulated. This 8.5x11""printable adult coloring book has 60 patterns to choose from, you can print your favorites straight away to color in and keep this collection of coloring pages on your computer to print at any time. 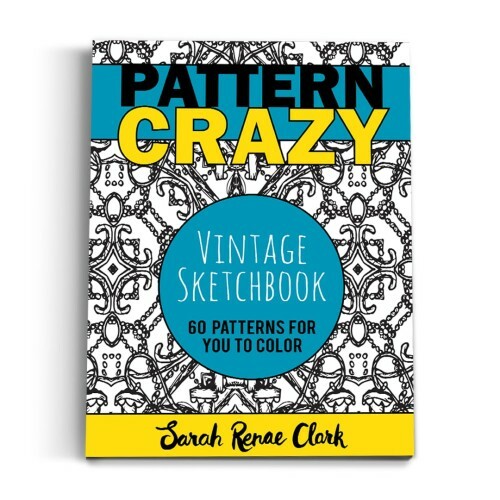 "Pattern Crazy: Vintage Sketchbook" is the first adult coloring book in this series. The patterns in this book are created from some vintage style sketchy pen illustrations. If you prefer to have this book in your hands, you can buy a printed version on Amazon here. 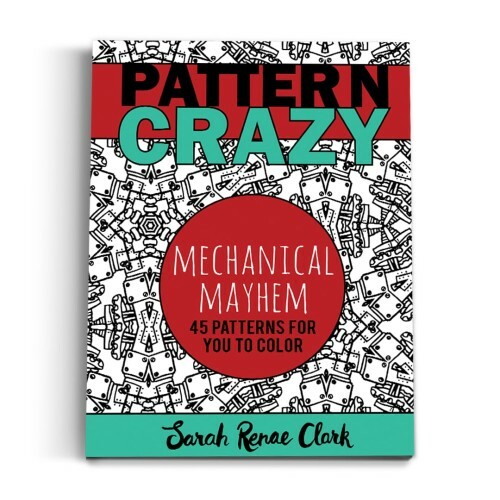 Please also check out volume 2, "Pattern Crazy: Mechanical Mayhem" in my store. 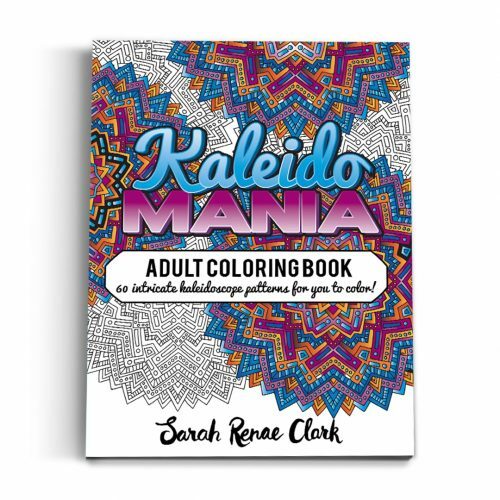 This printable adult coloring book is a therapeutic way to relax and escape the chaos of everyday life through coloring, and it’s not just for kids! Each design has been developed from hand-drawn art that has been digitally modified to create a beautiful kaleidoscope. With 60 mandalas to choose from, you can print your favorites straight away to color in and keep this collection of coloring pages on your computer to print at any time. Keep an eye out for the hidden letters within some of the designs!